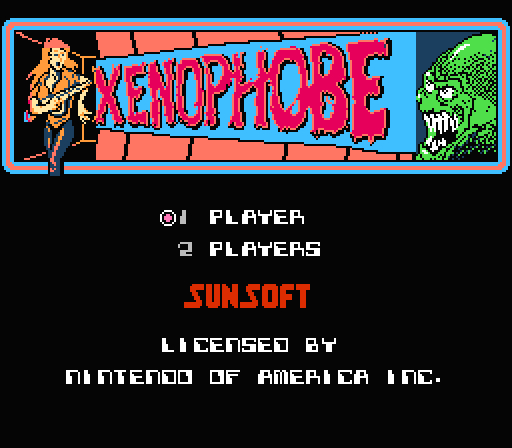 Xenephobe is a side-scrolling shoot-em-up game with two-player split-screen action. 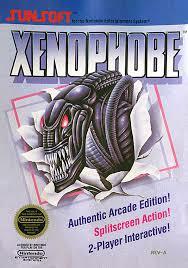 Choose one of three characters and explore space station, while shooting alien invaders and collecting valuable items and powerful weapons. Clear the base within the time limit to get higher scores and continue on to new levels, each more challenging than the last. Play alone or team up with a friend to end the alien threat. Your character choice is purely preference--the characters all play identically. 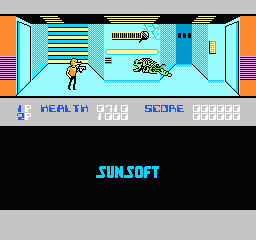 In two-player mode, both players must play as the same character. You can warp between rooms by pressing buttons on the walls. There is no actual game end. Now you can add videos, screenshots, or other images (cover scans, disc scans, etc.) 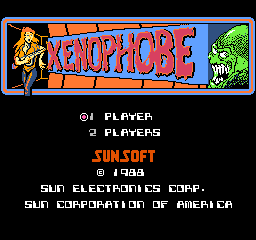 for Xenophobe (USA) to Emuparadise. Do it now! If you haven't noticed yet, we have a retro game of the day feature (top-right of the screen) wherein we feature a new retro title every single day! Now, you can vote for your favorite games and allow them to have their moment of glory. Click on the button below to nominate Xenophobe (USA) for Retro Game of the Day.